Daniel is one of the most intriguing and profound prophetic books in the Bible. Basically, Daniel was given a brief outline of the progression of the primary world powers from the Babylonian Empire to the last kingdom that is destined to be directly vanquished by the kingdom of the heavens. However, Daniel did not merely write down the prophetic visions he was privileged to record. Daniel and his three Hebrew companions directly participated in a series of prophetic dramas; and in so doing, have provided portents of God’s future dealings during the time of the end. In the opening scene of the book of Daniel we are introduced, not to the mighty monarch of Mesopotamia, Nebuchadnezzar, but to three lowly Hebrew captives in Babylon. Their names were Hananiah, Mishael, and Azariah, better known by their Babylonian names— Shadrach, Meshach, and Abednego. The three Hebrews along with Daniel, who was apparently their senior spokesman, had been princes belonging to the elite of Jewish society who had been among the first wave of exiles to be deported to Babylon before Jerusalem was completely destroyed. Apparently Nebuchadnezzar’s policy was to educate individuals of noble birth from throughout the realm of the Empire in the ways of Babylon. They were then to be deployed as governmental agents—perhaps as translators, or even as satraps, envoys and counselors of the king. But although they were prisoners in a faraway land they were actually treated as royalty. In fact, they were fed from the royal table. That presented a problem though. Undoubtedly the king’s fare contained foods that were forbidden by the Jewish law. So, Daniel and his brothers were determined not to pollute themselves with Babylon’s wine and the delicacies peculiar to the king’s court. Daniel requested that they be given mere vegetables and water instead. Question: What do the prophecies of Daniel, Ezekiel and Revelation have in common? Answer: Significantly, Daniel, Ezekiel and the apostle John were all three in a captive condition to the very empires that make up the composite wild beast of prophecy when Jehovah unveiled his prophetic messages to them. That being the case, Daniel and the princes from the royal realm of the city of Jehovah being taken into captivity in Babylon must surely foreshadow how Christ’s princes of the holy place are destined to go into captivity to the eighth king and be subjected to the authority of the Babylonish harlot of Revelation that will sit upon the symbolic wild beast during the final denunciation. Daniel, Hananiah, Mishael, and Azariah were faithful in what was least—the least being, in this instance, their adherence to the dietary restrictions of the code of Moses. And Jehovah rewarded them for their obedience in this matter—giving them greater wisdom than all of the king’s Chaldean counselors. But much greater tests were to come upon them—tests of integrity that would involve their very lives. As the Society has correctly discerned, the number 10 is used in prophecy as a symbol of earthly completeness. In regards to being put to the test for ten days, it symbolizes how the earthly members of Christ’s anointed congregation will ultimately fulfill Jehovah’s purpose in connection with them before they leave this earth for their heavenly reward—being completely put to the test. Their being found “ten times better than all the magic-practicing priests and conjurers in all the royal realm” is a portent of how the wisdom of this world will be brought to nothing when the sons of the kingdom are ultimately filled with all wisdom and spiritual comprehension in connection with the manifestation of Christ through them. As a consequence of their being found fitter than their non-Jewish contemporaries, Daniel became a permanent advisor to the court of the king and his three Hebrew companions were “appointed over the administration of the jurisdictional district of Babylon.” That development fittingly foreshadows how the chosen ones will stand before kings and governors during the conclusion of the system of things in order to give them a thorough witness, as Jesus Christ foretold; and no one will be able to hold their own against them, as was also portrayed by Stephen’s dramatic final witness to the Jewish high court. The curtain lifts on scene two of the prophetic drama of Daniel with Nebuchadnezzar in an extremely agitated state over a dream he had dreamt—or perhaps a series of dreams. The reason the king became so disturbed is because his was no ordinary dream. The God of the heavens had implanted a vivid vision in his mind—startling images he could not shake off even upon awakening. On this particular occasion Jehovah made sure that the omens the priests interpreted for the king pointed to Jerusalem. The point is, though, the magic-practicing priests and conjurers held tremendous power in the kingdom and that is why the disturbed emperor hastily summoned all the wise men and Chaldean conjurers of his court in order to consult with them over the disturbing dream. But the shrewd king made a most unusual request of his wise men. Instead of telling the Chaldean magi his dream and allowing them to fabricate various plausible meanings, Nebuchadnezzar demanded that they first tell him what he had dreamt and if they could do that then he would know that their interpretation of it was trustworthy. The king’s counselors spoke the truth. What the king of Babylon was asking them to do was humanly impossible. Only a god could tell Nebuchadnezzar what he had dreamed—or more specifically, only the true God. Nevertheless, the king became so enraged at their failure to deliver what he demanded that he gave the order that all of the wise men and magic-practicing priests in his court be killed—and not just killed, if they proved incapable of telling the king his dream they would be dismembered and their homes turned into public toilets! And because the four Hebrew princes were also associated with the royal court of counselors, they too faced certain death. When informed of the grave situation confronting them, Daniel immediately petitioned the king for a stay of execution, not only for himself, but also for all of the wise men of Babylon. By Jehovah’s mercy his request was granted. Daniel then supplicated Jehovah his God. Shortly thereafter, as Daniel lay sleeping one night, the God of the heavens whispered the secret matter to him in a dream. Daniel thanked Jehovah from the bottom of his heart and then rushed in to the palace to reveal to the perplexed king not only precisely what he had dreamt, but what it meant as well. Jehovah chose that particular moment in history to insert himself into human affairs for a reason. The account states that Nebuchadnezzar had his extraordinary dream in the second year. This, however, is not in reference to the second year of Nebuchadnezzar’s reign but to the second year since the emperor had destroyed Jerusalem and pillaged the very temple of Jehovah. Because with Jerusalem reduced to a smoldering ruin, and the ark of the covenant likely among the sacred treasures hauled off to Babylon as a trophy of their triumphant military expedition, and the princes of the holy place in captivity in the Land of Marduk, and the God-ordained throne of David seemingly permanently blotted out of existence, and virtually every people and nation in the region subjugated to the king of Babylon, Nebuchadnezzar truly became the king of all earthly kings—including the kings who were once said to have sat upon Jehovah’s throne. 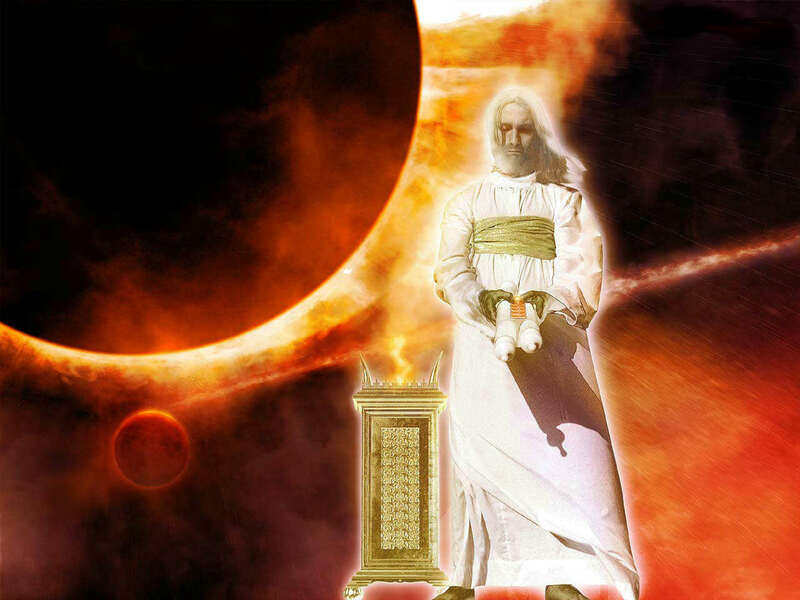 It is rich with prophetic significance that Jehovah became the “Revealer of secrets” in the aftermath of the destruction of his earthly throne and holy temple; for in the grander fulfillment of prophecy, during the time of the end, the very same Revealer of secrets will unseal all that is presently hidden. 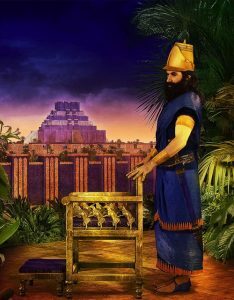 Although the golden, crown-bearing head symbolizing Nebuchadnezzar is the most prominent feature of the image it is in “the final part of the days” that the dream will ultimately be realized, culminating with the entire human political scheme being crushed and replaced by the kingdom of heaven. As regards the second chapter of Daniel, the metallic colossus with the head of gold supported on the feet of iron and clay represents a single composite kingdom that is ultimately shattered by the stone, not chiseled by human hands. Presently the Watchtower does not recognize the image itself as representing anything other than non-specific human rulership. Furthermore, the Watchtower interprets the iron and clay making up the toes and feet of the image to symbolize an indistinct “politically divided world.” However, that interpretation is inconsistent and violates the natural order of the previous metals that make up the image. That is because each metal represents a separate and distinct empire in a uniform progression that began with Babylon, followed by the Persian, Grecian, and Roman empires. How is it, then, that the feet of iron and clay represents a non-descript “politically divided world”? This is especially puzzling, since the Watchtower has insightfully identified the two-horned beast of Revelation with the modern Anglo-American dual world power. To preserve the natural harmony of the Bible’s inter-related prophecies the feet of iron and clay must symbolize the Anglo-American dyad. Since the metallic image seems to be in inverted order as well, with the feet of iron and clay upon which the entire image is standing representing the most recent powers, the logical question is: What does the image itself represent? As discussed in a previous chapter, according to Revelation chapter 17 there is an eighth king that springs from the seven. So, the Anglo-American king is not the last king. He has a successor that rules for a prophetic one hour. The entire image, with its head of gold, which Daniel specifically interpreted to symbolize King Nebuchadnezzar himself, must represent the eighth and final king. That Nebuchadnezzar represents the final kingdom is made apparent in the prophecy of Isaiah; specifically, chapters 13-14, where the king of Babylon is portrayed as the last of the goatlike rulers of the earth, who does not even receive an honorable burial, as has his predecessors, but is left to rot on the earth like the carcass of a slaughtered beast—just as Revelation depicts the vanquished last kingdom of earth in the aftermath of the war at Armageddon. According to the dimensions recorded in Daniel, the image was nearly 100 feet high. No doubt the glittering golden idol was an impressive sight in the sunlight—intended to produce an overwhelming feeling of awe in those beholding it. But worship of the idol was not optional. By imperial decree everyone present was to bow low before the image. 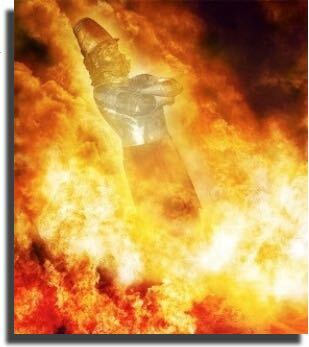 Nebuchadnezzar even commanded that anyone who did not fall down and worship the golden image on command would at that very moment be thrown into the blazing furnace. It is noteworthy that Revelation 13:18 informs us that the mark of the beast is “a man’s number”—a single man. Who is the “man”? Certainly there are many opinions about various religious and political figures supposedly being the antichrist. But there is no reason to resort to wild speculation in this matter. The very verse that refers to the “man’s number” also exhorts would-be interpreters to use their wisdom and intelligence to calculate the significance of the enigmatic 666. Being the last prophetic book of the Holy Bible, Revelation draws upon the language, history and symbolisms previously recorded in the Scriptures. That being the case, in order to intelligently decipher the mystery of the mark of the beast it is necessary to turn to the Hebrew prophets. Interestingly, the image Nebuchadnezzar erected measured 60 X 6cubits. It would appear, then, that the man, whose number is attached to the image of the beast of Revelation, is none other than Nebuchadnezzar himself. Nebuchadnezzar is also appropriately symbolized as the head of gold on the image that is ultimately destroyed by the kingdom of heaven. King Nebuchadnezzar typifies the absolutist type of tyrannical ruler that the eighth and final king is destined to become during the last hour, when all people will be put under compulsion to worship the state. Because of the vast reach of the Babylonian empire the massive gathering of representatives from all the jurisdictional districts and language groups pictures the world government that will come into existence with the reign of the eighth king. The eighth king will effectively subjugate the entire world of mankind, as did Nebuchadnezzar in a figurative way. In that respect, then, the golden image that was erected on the Plains of Dura was a forerunner of the image of the beast presented in Revelation. The issue is certainly the same. Peoples of the world, and especially Jehovah’s worshippers, will ultimately be confronted with the ultimatum to worship the state or die! Since our love for God is expressed by our obedience to him, any compromise of our obedience constitutes idolatry—placing someone else or something in the place of God. The drama on the Plains of Dura foreshadows how Satan will attempt to coerce all of Jehovah’s worshippers into disobeying God; thus, committing idolatry. Imagine the scene as thousands of men, perhaps tens of thousands, simultaneously prostrated themselves before the image as the ceremonial music began to play—no doubt much like the Muslims do today when called to prayer by their mullahs. And there, three lone Hebrews conspicuously stood erect before the throng. Hananiah, Mishael, and Azariah stood for Jehovah’s exclusive worship—literally! And when made to stand before the enraged king for having defied his express order the three Hebrews unequivocally stated they were not serving any of Babylon’s gods, nor would they bow before the king’s golden image. So Nebuchadnezzar ordered that the furnace be heated up seven times hotter than normal and into the roaring fire the three men were thrown. The flames were so intense that the guardsmen who bound them and threw them into the flames were the ones who perished. 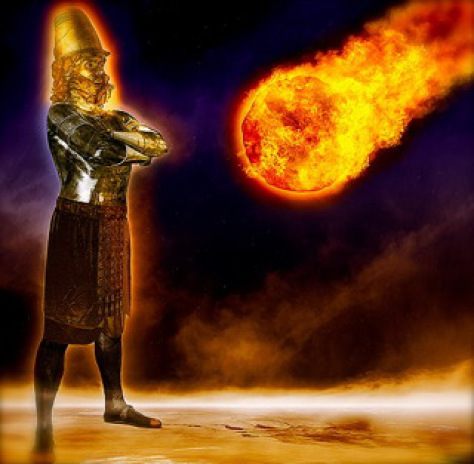 But there in the midst of the fiery furnace Nebuchadnezzar could not believe his eyes—the three Hebrews were casually standing in the midst of the blazing inferno conversing with someone whom Nebuchadnezzar described as a son of the gods. Of course, all of Jehovah’s Witnesses are familiar with the account and every child who has ever gone to Sunday school has probably heard the story as well, but is it just a story that teaches a moral lesson or is it a portent of realities not yet beheld? 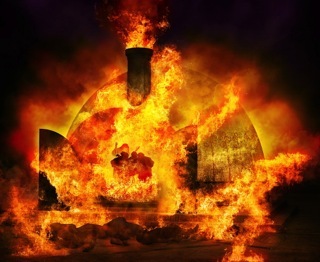 For a fact, Jehovah performed an extraordinary miracle on that occasion, but the most intriguing aspect of the account is the appearance of the fourth man in the furnace. Jehovah could have just as easily saved the three Hebrews without the appearance of the son of the gods. So what is the significance of his appearance in the drama? The one described by Nebuchadnezzar as “resembling a son of the gods” can be none other than the Son of God himself—Jesus Christ. How may that be determined? At Daniel 10:21 an angel informed the prophet that Michael was acting as “the prince of you people”—“you people” meaning the Jews. 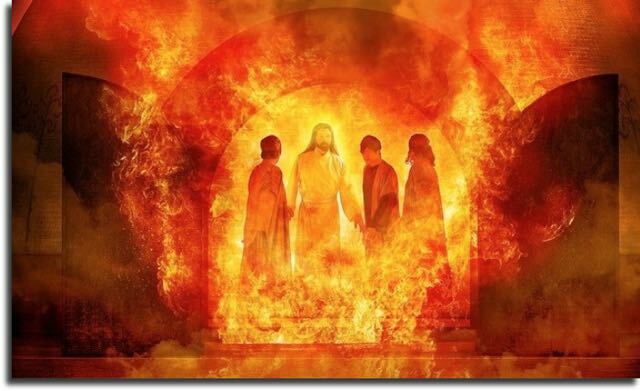 So undoubtedly, it was this Michael who appeared in the flaming furnace standing alongside the three Hebrews. But what is the connection to Jesus? Not only was Michael—also known as the archangel—the protective prince of the ancient Israelite nation, he is also the “great prince” who will act in behalf of Christians during the great tribulation; which, as Jesus also said, would be a time of distress like no other and a time when all of the chosen ones will be gathered by God’s holy angels. Keeping in mind the Greek word “parousia” literally means “a coming alongside,” the appearance of the great prince, Michael the archangel, alongside the as-good-as-dead Hebrews in the fiery furnace, is a situational drama portraying how the chosen ones will be killed during the culmination of the parousia for not accepting the mark of the beast. But their martyrdom will result in their immediate transformation, as if in the blink of an eye, into the exact image of the Son of God himself. The three Hebrews in the furnace serve as a wraithlike portent for the remnant. Not coincidently, at I Thessalonians 4:15-17 the apostle Paul refers to the resurrection of the living holy ones during the parousia, as taking place when Christ descends from the heavenly sphere with the commanding voice of an archangel. 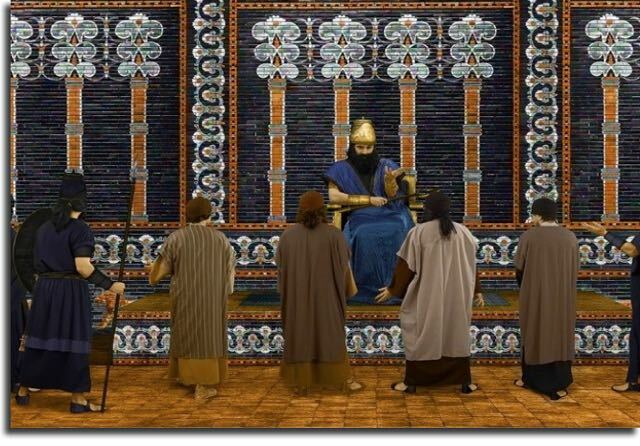 The fourth scene opens with King Nebuchadnezzar having yet another dream, only this time he does not demand that his inept magic-practicing priests tell him his dream. But after his counselors failed to offer a satisfactory interpretation the king called for his chief of the magic- practicing priests—Daniel. King Nebuchadnezzar had a dream of an immense tree that was chopped down by the decree of God and the trunk of the tree was banded about with a metal strap for seven times, after which the banding was removed and the stump was allowed to grow again. Daniel was inspired to interpret the dream as applying to King Nebuchadnezzar himself. His kingship was to be cut down and he was to live like a wild beast of the field for seven literal years, after which time he would be restored to his throne. The object of this lesson was to prove to Nebuchadnezzar and all concerned that Jehovah is the sole ruler in the kingdom of mankind and no one can successfully oppose him or prevent him from accomplishing his will. God is fully capable of lifting up the lowliest of mankind and exalting them to the highest position. In this case Nebuchadnezzar became the lowliest of mankind, becoming a virtual grass-eating lycanthrope—a man/beast. But the haughty king learned the lesson and acknowledged that Daniel’s God was supreme. There have been many arrogant and godless rulers since Nebuchadnezzar and none of them were humbled by heaven. As previously stated, the reason God inserted himself into the affairs of the king of Babylon was in order to assert his sovereignty. The reason being: because, the city where Jehovah had placed his name—that is to say, Jerusalem—had been destroyed by Nebuchadnezzar. Therefore, it became necessary to demonstrate that Babylon had merely been the earthly agency that God had used to accomplish his purpose. There is no question that the immense tree that was felled could apply, at least in principle, to the Jewish kingdom that Nebuchadnezzar had cut down. However, there is no mention of it in the context. Admittedly, the fact that the felled tree sprouted anew coincides with Jesus being called the twig from the stump of Jesse, the father of King David. And there is no question that the throne of David will be restored when Jesus takes up his kingship. But what about the seven times? Several decades before the Watchtower Society came on the scene the Millerite movement and Adventist sects that sprang up afterwards developed various chronological calculations based upon the seven times of Nebuchadnezzar’s dream. Charles Russell readily accepted the seven times calculations and combined biblical chronology with occult pyramidology of that day to arrive at the date of 1914 as the year when the so-called gentile times would end and the kingdom of Israel would be given to Christ. But as has already been established in a previous chapter, there is simply no justification for the assumption that the appointed times of the nations relates to the original destruction of Jerusalem by Nebuchadnezzar. The context of Jesus’ prophecy clearly relates to the desolation of the holy place that was to occur before the generation of Christ’s original disciples passed away. The prophecy of Daniel as well as Revelation, not to mention most of the Hebrew prophets as well, foretell that the holy ones of the newly established kingdom are due to be trampled upon for a specified time, times and half a time by the last king. And that the wild beast will attempt to change God’s fixed times and seasons for the end of the present system of things to be accomplished. Although many of Jehovah’s Witnesses undoubtedly find the Watchtower’s adopted chronological calculations to be very compelling, it is well to keep in mind the fact that God allows an operation of error to go forth among his people, a deceptive operation of error aimed at convincing Christians that the presence of Christ has already commenced before the actual parousia begins. It should not be assumed that the promoters of an operation of error are unable to artfully contrive a convincing scriptural basis for their teaching. With that fact in mind it may well be that the seven times were intended by God to simply serve as an unspecified period of time, but which primarily serves as the basis for the operation of the error that God has also made provision for until such time as Jesus Christ exposes the error and its lawless author. Ultimately, the meaning of the seven times may not be fully understood until the book of Daniel is unsealed during the time of the end. That the tree dream applied primarily to Nebuchadnezzar and the kingdom of Babylon, though, is emphasized in the fifth scene. That is where Nebuchadnezzar’s son or grandson, as the case may have been, spread a banquet for one thousand of his grandees, during which time King Belshazzar called for the golden goblets and other treasures pillaged from the house of Jehovah to be displayed before his guests. That is when the presumptuous king became terrified as he and his guests witnessed a disembodied hand suddenly appearing and begin writing on the palace wall. Daniel was called in to interpret the enigmatic Mene, Mene, Tekel, Parsin for the ashen-faced monarch. Daniel prefaced his interpretation by calling to the king’s attention the fact that God had humbled his father, a lesson that was apparently lost on his royal offspring. Even as Daniel spoke on that fateful night of October 5-6, 539 BCE, Cyrus was leading the Medes and Persians up the mighty Euphrates in a stealth invasion of the doomed city of Babylon. In the eighth chapter Daniel received a vivid vision of a violent clash between a two-horned ram and a hairy he-goat with a unicorn-like great horn, which was subsequently broken off and replaced by four lesser horns, one of which sprouted a small horn that kept getting greater and greater, all the way to challenging the prince of the army. But Daniel was not a mere passive observer. The prophet encountered two divine beings in the vision, with whom he interacted. One unnamed entity apparently remained invisible and did not speak directly to Daniel, but the prophet heard his commanding voice emanating from the middle of the river, where Daniel was standing on the bank in the vision. The unseen angel then commanded another angel named Gabriel to approach Daniel and explain to him the meaning of the vision he had seen. But Daniel collapsed as the angel approached him and became as if he were asleep. The messenger gently awakened him and caused him to stand erect on his feet. Afterwards, Gabriel went on to relate to him the significance of the vision, how it was a vision for the time of the end. Daniel was specifically instructed to make secret what he had seen. Daniel’s encounter with the two angels—the unseen angel apparently representing the great prince, Jesus Christ—is pictorial of how the holy ones will be enlightened during the actual time of the end, as was Daniel on that occasion. Even though Daniel could not understand how the vision would actually become reality the angel did explain to him what the various symbolism represented. In that respect Daniel represents the holy ones who will be on hand during the time of the end, when the prophecy will finally be unsealed. 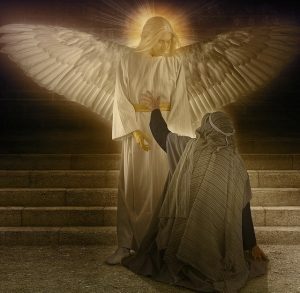 The fact that Gabriel was under the command of another spirit greater than himself pictures Jesus sending forth his angels to minister to and gather the chosen ones. But as extraordinary as the experience was Daniel had yet another encounter with an angel that was even more dramatic. This occurred in the third year after Babylon had fallen to Cyrus. Significantly, after the fall of Babylon Daniel began to discern from the writings of Jeremiah that the time had arrived for the repentant Jews to be set free from their captivity and for the holy place in Jerusalem to be restored. The ninth chapter is a record of a prayer Daniel uttered in behalf of the Jews—confessing their sins before God and humbly requesting for Jehovah to restore his favor to his people. In the 10th chapter, two years later, Daniel was fasting and humbling himself before God and it was on that occasion that Daniel had a startling vision of a supernatural man. What is the significance of the appearance and the fact that the manifested spirit addressed Daniel three times as a very “desirable man”? As already pointed out, both Daniel and John were in a captive condition to the empire of the beast when they received the visions. Both prophets were also quite aged. This would seem to picture the entire body of anointed Christians on earth during the parousia, who are also aptly symbolized as elderly men, since most are quite old too. The holy ones will also find themselves in captivity to the same seven-headed political monstrosity that once held Daniel and John captive. By those means Christ will chastise the faithful slave with the symbolic lash of humiliation and hardship. And toward the end of the three-year period the Greater Cyrus will then liberate God’s people. Daniel’s experience is a portent of the visible manifestation of Christ to the holy ones during the time of the end. The chosen ones are indeed very desirable to Jehovah. So much so that Jesus said that the chosen ones personally have an angel that always has direct access to the face of Jehovah himself. They are desirable because Jehovah has chosen to lavish his rich blessings upon them, making them sharers of Christ’s heavenly nature. That is why the angel stated that Daniel was a very desirable man—he pictures the chosen ones during the parousia. Although neither Daniel nor John actually saw Jesus Christ—their experiences being merely visions—as Saul the Pharisee, the apostle Paul evidently had an actual glimpse of the glorified Christ—the only human ever to do so. The significance of that encounter on the road to Damascus is that Saul’s companions did not see a sight, as did Saul. Neither did Daniel’s companions see the flaming apparition; however, they fled trembling, sensing the invisible presence of some great thing not of this world. This signifies that the spiritual companions of the chosen ones will not see the manifestation of Jesus Christ directly. What is the “great military service”? It must refer to the final conflict between the two earthly kings, designated as the king of the north and king of the south. That conflict will set the stage for the final scene, the grand finale—the ultimate confrontation between the earthly kings and the Prince of princes, the King of kings and the Lord of lords—Jesus Christ. The parallel prophecy of the king fierce in countenance must likewise be understood in the framework of a great military conflict. But in truth, the “great military service” will not merely be an earthly war theater—it is a universal war with the real theater of conflict in a realm invisible to human eyes. 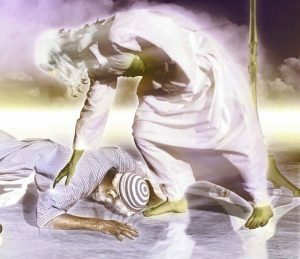 As revealed in the 10th chapter of Daniel, what is the significance of the fact that “prince of the royal realm of Persia” successfully opposed the angelic messenger who had been dispatched to enlighten the prophet? Obviously no human prince could possibly resist a mighty angel of Jehovah. That being the case, the prince of Persia must be a demonic resister. The spirit opposer was finally overcome when Michael came to the angel’s assistance. Think of the implications though. This means that Daniel was kept in an unenlightened state regarding events to occur in the final part of the days due to fierce demonic resistance. This drama that was played out in the heavenly sphere certainly explains why the Watchtower, and consequently Jehovah’s Witnesses, are in such a befuddled state today when it comes to understanding prophetic matters. As in the case of Daniel, the enlightening angel will not make a breakthrough until Michael comes and overpowers Satan and his fellow resisters. This aspect of Daniel also mirrors the 12th chapter of Revelation regarding the warfare that is destined to erupt in the spirit realm when Michael and his angels do battle with the Devil and his angels, with the seed of the woman—a Daniel class, if you will—being caught in the crossfire, when the maddened demon princes bring woe upon the earthly system. The significance of the series of prophecies in Daniel is they establish the fact that God’s kingdom comes into direct conflict with a specific earthly government at a certain moment in time, brought on by a conflict in heaven and reflected in a series of political developments—culminating with the martyrdom of the final sons of God. The prophecy in the eighth chapter of Daniel concerning the small horn that emerges from the hairy he-goat, and which becomes greater and greater, also sheds light upon the rise and fall of the last kingdom. “The final part of their kingdom” (plural) evidently refers to the Anglo-American dual world power. It is an established fact that the modern world of extended European civilization can trace its cultural and philosophical roots back to ancient Greece. 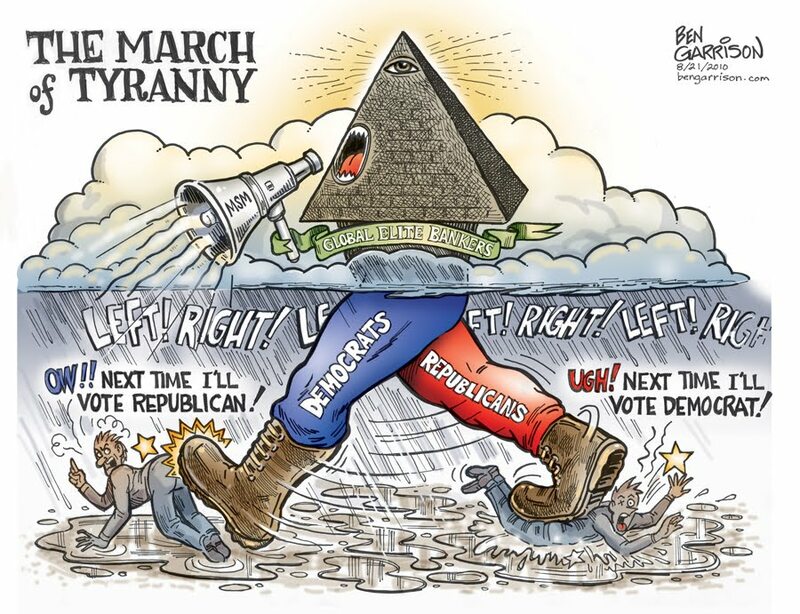 Paradoxically, the two antagonistic systems of oligarchism and republicanism embodied in the hybrid Anglo-American system are antagonistic ideologies that both existed in ancient Greece. So, while Greece is known as the “cradle of democracy” and republicanism, Alexander’s empire is also the forerunner of the Roman and British empires as well. This striving of two competing kings is in harmony with what is also revealed in Daniel concerning the struggle between the kings of the north and south—as well as the incompatible iron and clay amalgam that do not stick together. It perfectly symbolizes the modern Anglo-American dual world power, which is an unnatural union of imperialism and republicanism. But, as noted previously, one force wins out. Apparently, then, the king fierce in countenance is the champion of the empire. Indeed, the little horn, from which the last horn grows greater and greater, must be the British Empire, which the prophecy indicates will morph into a great, global empire during the final part of the days. Nevertheless, in view of the fact that the primary political phenomenon in recent decades has been the subtle yet irresistible drive towards globalization, the relentless propaganda campaign behind that movement deserves some consideration. It is undeniable that society has been saturated with a peculiar variety of politically charged “ambiguous sayings” that are mere euphemisms for world government. Terms like new world order, one world, free trade, global governance, internationalism, environmentalism and economic liberalism are all common terms. But what do they really mean? Our modern lexicon has many somewhat ambiguous terms related to globalism. So, what is globalization all about? Globalization is not a new phenomenon. It began during the 19th century under the guiding hand of the British Empire. Most people understand globalism as merely opening up new economic markets. However, many observers have come to understand that the intent behind the ambiguous political parlance has to do with conditioning and propagandizing society with the goal of ultimately abolishing the sovereignty of individual nation-states and empowering the UN to serve as a world government. For a certainty, as discussed in the chapter King of the North, the circle of great men associated with the British Crown have for many decades been pursuing the goal of reinventing the empire in the form of a UN-controlled world government. To that end, numerous intermediate treaties and international organizations have already been advanced. For example, the World Trade Organization came into existence in 1995 for the purpose of forcing nations to keep their markets unregulated by protectionists. Opponents charge that the WTO undermines national sovereignties. The European Union appears to be a major step towards ensnaring the individual nations of Europe into ceding over a significant portion of their sovereignty to an international body, particularly with respects to national currencies. The nations that have adopted the Euro have to abide by strict budgetary restraints that are usually against the interests of the nation in order to comply with the European Central Bank dictates. And now the nations of Europe are being induced to accept the latest version of the Lisbon Treaty, which is seen by nationalists as an outright dictatorship. In every case where international bodies and or the interests of multinational corporations are advanced to supersede the authority of national governments, the unseen hand of the financier oligarchy may be perceived operating behind the scene. The fact is, ever since the United States broke away from the British Empire, private financial interests have been determined to undermine, control and ultimately destroy the republican form of government. So it is that the king fierce in countenance understands these baffling and ambiguous sayings having to do with a new world order, in that, he is the secret source of the propaganda intended to totally bring the world under his imperial yoke. The very fact that numerous supranational organizations are gaining power over the nations may well be a manifestation of the power of the little horn, growing greater and greater. Interestingly, the New International Version renders Daniel 8:23 this way: “In the latter part of their reign, when rebels have become completely wicked, a stern-faced king, a master of intrigue, will arise.” “A master of intrigue” well describes the masterful way the London-centered financial oligarchy have persuaded entire nations to adopt policies that are against their own interests. It is also well known, for instance, that as a matter of policy, powerful banking interests loan money to both sides during times of war and have also been the unseen power brokers behind communism. Intrigue indeed! The defunct League of Nations notwithstanding, and acknowledging that the EU is merely a regional government only, the United Nations is the only organization that is capable of becoming a world government. But unlike national governments, the United Nations has no nation of people or national group as its power base. The UN derives its power and authority solely from the consent of all its member nations. While primarily a creation of the Anglo-American dyad, to the extent that each nation relinquishes a portion of its own sovereignty and to the degree that each nation contributes funds, military equipment and personnel, to that extent the United Nations is empowered. Ultimately, though, the power behind the UN is the financier oligarchy—the very same monopolies behind the British Empire. In other words, the eighth king will become mighty, “not by his own power,” but due to the power of all of earth’s kings who “give their power and authority to the wild beast.” The “ten kings who have not yet received a kingdom” may symbolize all the nations that will fully empower the beast. The Bible, thus, interprets itself, indicating that the king of fierce countenance and the eighth king are identical. Under the circumstances of global catastrophe and international crisis, it does not take a great deal of imagination to envision the UN acquisitioning the world’s armies and even nuclear weaponry, so that no individual nation would dare challenge its power. In this way the king fierce in countenance must become mighty in power. The newly elected Barack Obama has expressed his desire to enhance the cooperation between the American superpower and the United Nations. The president also announced his intention to reduce nuclear arms. Perhaps under extraordinary circumstances the United States and Great Britain may even advocate turning over their vast arsenals to the control of the United Nations. As stated previously, there is a scheme afoot to have the UN issue some form of global currency as an alternative to the U.S. Dollar continuing to serve as the world’s reserve currency. The IMF, a supranational agency created at the same time as the United Nations, has already begun issuing its own bonds in the form of Special Drawing Rights. Under the guiding hand of London, China has quietly begun to offload its nearly two trillion-dollar US Treasuries portfolio in favor of IMF issued debt. Considering that Daniel 11:36 also says the king of the north “will certainly prove successful until the denunciation will have come to a finish,” it may rightly be concluded that the final manifestation of the king of the north and the king of fierce countenance are the same entity and that the last king will succeed in sinking the American-led, democratic, nation-state system. The king of fierce countenance also apparently comes out of the symbolic north. Daniel 8:9 says: “And it kept getting very much greater toward the south and toward the sunrising and toward the decoration.” Expanding his empire south and toward the sunrising (east) and “toward the decoration” (evidently west), the prophecy seems intended to indicate that the king of fierce countenance comes from the north and expands his dominion in all directions to envelope the entire globe. This harmonizes with the many Hebrew prophecies that foretell a tyrant will come upon the world from out of the symbolic north. “The envelopment that is enveloping over all peoples” and enmeshing all the nations has to do with the imposition of a globe-strangling tyrannical regime. That Jehovah would use that setting to speak of his doing away with death and wiping the tears from the eyes of his people is an indication of the horrors yet to be unleashed when the king of fierce countenance succeeds in causing widespread ruination. The period following WWII has been a time of relative peace and prosperity, generally speaking. In the Western nations at least, the children born in the post-war era, the so-called “baby boomer” generation, have not known the hardships of their parents and grandparents, who lived through the First World War, the Great Depression and the Second World War. Post-WWII generations have become accustomed to the idea that nothing will ever change. Contributing to the popular delusion, the 1990’s saw a period of money-mania on a scale not seen since the high-flying Roaring 20’s, which, of course, ended with a thud in the Wall Street crash of 1929. So, it has become the general expectation—cultivated by the world’s most vocal “experts” and pundits—that everything will continue on as in recent times. However, God has envisioned an entirely different fate for this wicked system of things. 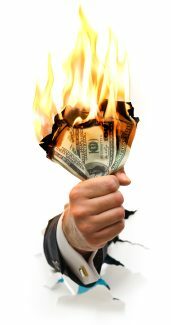 Jehovah’s prophets foretell that at some point men will become so desperate that they will throw their worthless money into the very street. 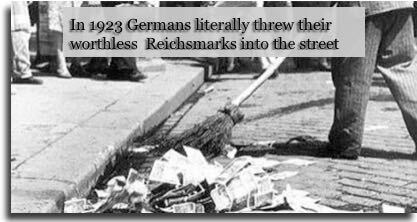 Actually, such a thing is not so far-fetched at all considering what happened in Weimar Germany in 1923. Due to vicious war reparations imposed on Germany by the Treaty of Versailles the Weimar government tried to print its way out of debt. As a result of vastly inflating the money supply in a few short months the national currency was destroyed due to hyperinflation, so that it became completely worthless. Those who were wealthy and whose wealth was held in paper Reichsmarks were brought to ruin. Since the so-called “credit crunch” began in 2008 the United States Federal Reserve and Treasury have loaned, pledged or bought worthless paper from the bankrupt banks and hedge funds amounting now to over twenty trillion dollars—and counting! In recent months it has been reported that the central bank is even buying trillions in U.S. Treasuries too, in order to forestall the collapse of the U.S. debt market. All of this money pumping is ominously reminiscent of Weimar Germany. To underscore the antagonistic relationship between private financial interests and the people of the nations, the U.S. Federal Reserve Bank, which, as already stated, is a privately held bank controlled by other banks with anonymous shareholders, has been ordered by the court to disclose the recipients of some two trillion dollars of bailout monies, which, so far, the Fed has refused to do. Empires have always sustained themselves by means of looting and pillaging. The empire of the financiers has succeeded in plundering in a wonderful way, by deceiving the political leaders into allowing financiers to control the economies of nations. The trend of deregulation has succeeded in allowing what was once the world’s most prosperous nation to be looted to the bone. Taxpayers have even been bamboozled into paying trillions to make good the plunderer’s bad gambling debts. Now, though, the monetarist’s system has, itself, reached the point of implosion. At this late date the fate of nations lies with the decisions politicians in the United States must make in the immediate days ahead. The decision before them is whether to allow the unpayable and largely fictitious financial claims of the London/Wall Street Empire to continue to drag the nations into complete and utter ruin. The other choice before the leaders is to shut down the financiers’ system for the preservation of nations. The two inimical systems can no longer co-exist in the same world. What will be the outcome? Prophecy reveals that the mighty ones of this world are about to be brought to ruin in a wonderful way when the king fierce in countenance detonates the debt bomb and then forecloses on the world. Needless to say, Satan’s entire wicked world is run from the top down based on deception. Therefore, those most adept at deceiving others often “succeed” in this world. While, many people will admit that government leaders, politicians, and businessmen often lie to the public, few people are mentally up to the challenge of accepting that there is such a thing as a conspiracy to destroy the nation-state system of things and enslave the world in tyranny. But judging from the masterful way in which the nations have already been ensnared in a web of debt foisted upon them by financiers, from which they have so far been unable to extricate themselves, it is undeniable that the nations have been deceived by very clever manipulators. Such will become horrifyingly obvious when the trap is finally sprung. A pervasive lie is that the world is overpopulated. A British statistician by the name of Thomas Malthus, who was apparently commissioned by the British Empire, first advanced this notion back in the 18th century before the world’s population even reached one billion. His name has since become synonymous with population reduction. Hence, Malthusianism has been the cornerstone of imperial policy up to the present day. In fact, since 1974 it has been the official policy of the Anglo-American establishment to reduce Third World population by whatever means is available in order to make sure that Third World resources are available to the wealthier nations. This policy was codified in a recently declassified document called NSSM 2000. Not surprisingly, the United Nations is on the forefront of population reduction. Contrary to popular opinion, though, the world is not over-populated. It is merely under-developed. And, again, the Empire is determined that undeveloped nations stay that way. To that end environmentalism is an effective tool for those in a position to carry out the British Empire’s depopulation scheme. Judging from the “progress” that has been made so far, it is apparent that the power behind the soon-to-come-on-the-scene king of fierce countenance has shown great insight into human nature, as well as into political and financial matters. The imperial-minded king has thoroughly deceived the nations as to the nature of his intentions. Behind the seemingly benevolent façade of a peacekeeper and of protecting human rights, trying to save the planet from war, poverty, and ruin, the United Nations stands poised to become an instrument to hamstring the nations and implement the oligarchy’s agenda of reducing the earth’s population by as much as 80%! Since, according to Habakkuk, the last king is the agency that Jehovah has assigned to punish the nations, evidently the last empire will fully implement a policy of global genocide at some point during the world’s nightmarish last hour. It is a fitting end for a world that will resolutely refuse the loving hand of its own Savior. It is vital to note that Christ has an established place on earth that serves as a temple for the worship of his Father. What is “the established place of his sanctuary” that will be thrown down during the time of the end? Did not Jesus also foretell that the holy place would be desolated by a disgusting abomination? According to the writings of the apostles the sanctuary, or temple of God, is composed of the body of anointed Christians themselves. It is simply the congregation of Christ. How might the king fierce in countenance find success in throwing truth to the earth? That remains to be seen. But already the Empire has laid the groundwork for a massive deceptive operation. Nearly two hundred years ago London concocted Zionism as a geo-political and religious scheme. Since then Zionists have promoted the notion that the creation of an Israeli state is a prerequisite for the return of Christ. Millions of evangelicals earnestly believe that Israel must be protected at all costs. It is quite likely that nuclear war will erupt in the Middle East during the conclusion—further deceiving the deluded masses into believing that Christ is somehow fighting for Israel. But the authentic “Israel of God” and the holy place are connected to the people who bear the name of Jehovah. Since the last king comes on the scene at the same time Jesus Christ arrives in his kingdom to commence his parousia, the last king will have the ignominious distinction of being the only earthly government to rule in direct opposition to the kingdom of God. That will make it a disgusting thing in God’s sight. Because the holy ones are the earthly representatives of the invisible kingdom of heaven, Satan will inevitably maneuver his earthly kingdom to suppress the voice of Christ’s representatives too. Hence, the disgusting thing will begin standing in a holy place when the last empire moves to suppress Jehovah’s Witnesses and destroy the Watchtower Society. The king of fierce countenance will then find himself in the middle of the battlefield of Armageddon, where he will prove to be no match for Jesus Christ and his legions of angels.